THIS year, the Giants took a massive leap forward in their development, but with the emergence of the expansion clubs, their forward line has been hit hard. 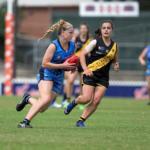 Luckily enough, the Giants have drafted young gun Alyce Parker, who will no doubt have a presence in the midfield. However, there were many holes to fill in Greater Western Sydney’s (GWS) forward line. 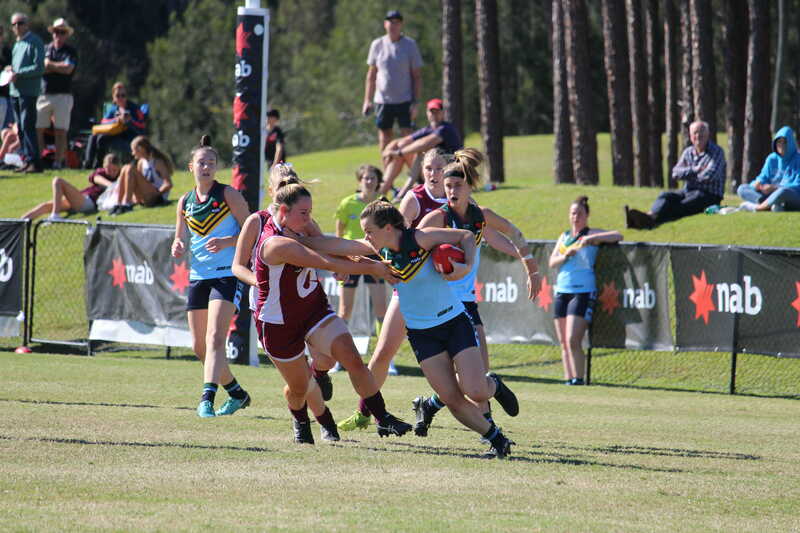 Parker has been a New South Wales (NSW) prospect for some time, as her efforts in the youth girls competitions are nothing short of elite. She received three Under 18 All-Australian nods, was this year’s captain of the Under 18 team, and the Most Valuable Player (MVP) for the Eastern Allies. This was the surest pick of the draft, as Parker, Alicia Eva, and Courtney Gum will provide the Giants with an A-grade midfield. Being the North Adelaide inaugural Best and Fairest, and a member of the South Australian National Football League Women’s (SANFLW) Team of the Year meant that Brittany Perry was a steal at pick 65. Perry traditionally plays as a midfield but has the ability to play as a half-forward flanker. She might be the answer to Renee Forth‘s departure. 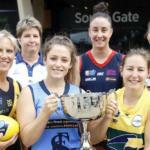 This year in the SANFLW, it was Lisa Whiteley‘s South Adelaide Panthers that won the premiership. Whiteley was an integral part in the midfield and has caught the eye of the Giants. She will provide even more support to an already powerful midfield. 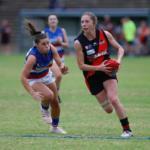 AFL Women’s All Australian ruck, Erin McKinnon has been a force to be reckoned with this year. However, every player needs a break when playing in the heat, and Ingrid Nielsen is the right person for the job. Named as the ruck for AFL Sydney Women’s Premier Division (AFLSW) Team of the Year, Nielson will no doubt play an important role in 2019. Renee Tomkins was delisted this year, but has proven her worth in the AFLSW competition, and has been redrafted to the Giants. In the first year of the AFL Women’s, Tomkins was nominated for the All-Australian team, but due to injury, she was unable to show her previous year’s form. A lifeline could pay in spades for the Giants, as they haven’t let good talent go to waste. 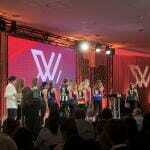 Another state premiership player, this time from the Queensland Women’s Football League (QWAFL). With the Giants forward stocks depleted, Delma Gisa will be a welcomed addition to their forward line. Much like Renee Tomkins, Haneen Zrieka was also redrafted this year. Zrieka played in the AFL Sydney Women’s Premier Division and would have won the Best and Fairest if not for her suspension. Zrieka was also a member of the Under 18 All Australian Squad in 2017. She was one of only five NSW-based players who were selected for the squad. A member of Norwood’s premiership side in 2017, Ebony O’Dea‘s club again challenged for another premiership in 2018, but fell short in the end. O’Dea is a midfielder that can drift into the backline to create support for her team. She was the last pick of the 2018 draft. The talent needed to replace forwards such as Phoebe McWilliams, Maddy Boyd, and Renee Forth was very difficult in this year’s draft. Alexia Hamilton was talked up as a possible replacement, but the Giants chose to go in a different direction. They could possibly have the strongest midfield in the league with the inclusion of Parker, however, it looks like superstar, Christina Bernardi will have to shoulder most of the load up forward in 2019.